bone density scanning of women to assess the increase of fracture risk due to osteoporosis. You need a referral from a GP to come to the Pauline Gandel Imaging Centre for radiology services. scanning to detect if a woman has internal structural issues that might be causing infertility. All patients seen in the ultra sound department must be patients of a Royal Women’s Hospital clinic and be referred by a doctor at the Women's. A GP cannot refer you to the Women’s for a routine pregnancy ultrasound. MRI uses powerful magnetic fields and radio waves to create pictures of inside the body without using x-rays or radiation. MRI is used by doctors to look at soft tissue. It provides highly detailed images at different angles for diagnosis. Our MRI scanner is considered one of the most sophisticated and powerful machines available. Patients spend less time in the scanner and it produces images with very tiny details. MRgFUS is a treatment that uses MRI and focused ultrasound to find and treat fibroids. The technique allows specialists to look inside your body and to heat up and destroy unwanted tissue. This treatment is not surgery. There are no incisions in your body. MRgFUS is done by a specialist radiologist with an MRI technologist and nurse present. It is a non-invasive treatment aimed at reducing symptoms such as abdominal pain and cramping, heavy menstrual bleeding, anaemia (a lack of red blood cells), distended stomach and constipation, all of which can all be caused by uterine fibroids. 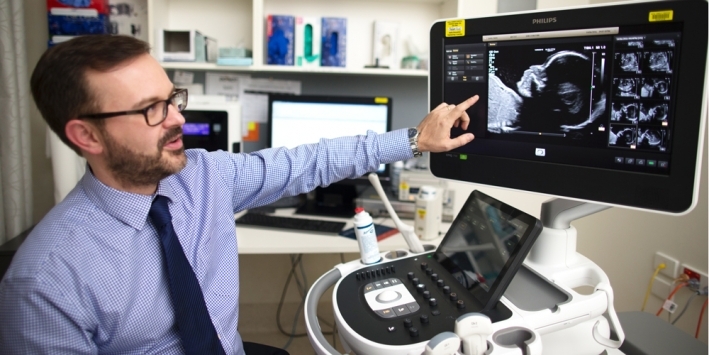 The Women’s is the only publicly funded service in Australia that can treat fibroids without the need for surgery, using magnetic resonance guided ultrasound technology. 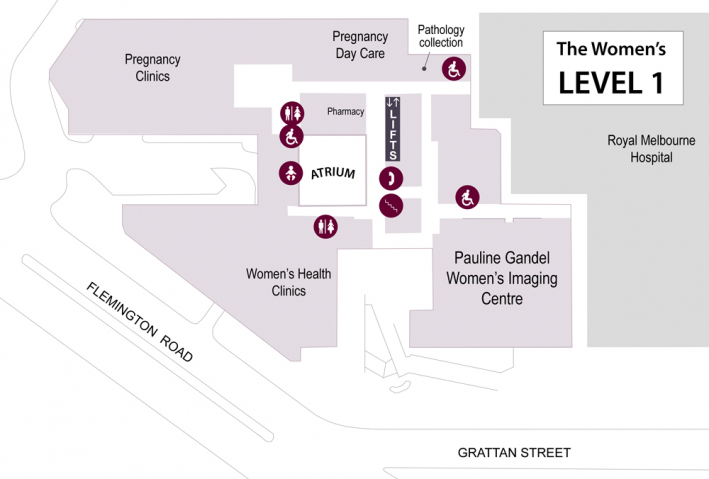 To use the service you will need a referral from your GP to the gynaecology clinics at the Women's. The doctors at the gynaecology clinic will use a screening MRI to check if your fibroids are suitable for the treatment. Your private specialist can also arrange a screening MRI to assess suitability. If you would like to ask a question about MRI at the Women’s or non-invasive treatment for uterine fibroids, please telephone the Pauline Gandel Women’s Imaging Centre on our enquiry phone number.